Kitchen Studio Ltd. Kitchen Design in Watford. Established in 2002 Kitchen Studio Ltd is an independently owned company offering a friendly, honest and efficient service. 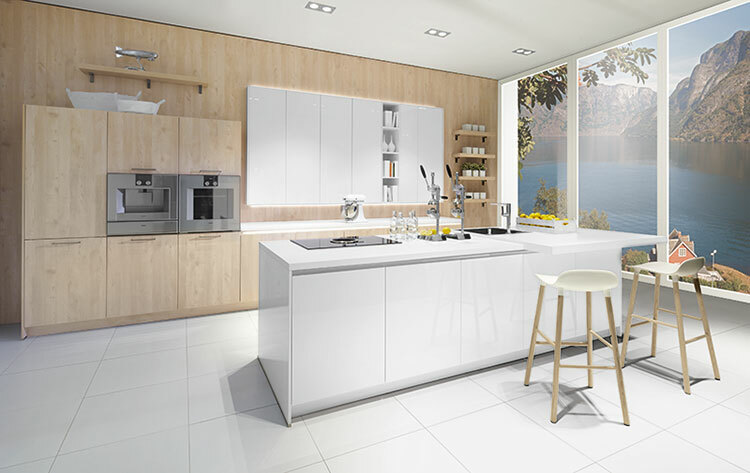 We specialise in the planning and specification of quality German kitchens. Our first floor office at 47 Market Street, Watford, has a comprehensive collection of furniture fronts and worktop samples to choose from. We also have showroom facilities at Bourne End (Hertfordshire) and Staples Corner (North London) with a selection of kitchen displays to help you with your choice. Whether you are looking for a hi-tech or traditional kitchen, we have something to suit all tastes. Our planning and design service, using computer-aided software, will enable you to visualise your new kitchen. We are happy to work from architect's plans for new properties and extensions. From initial survey of your kitchen to delivery can take between 6 to 10 weeks dependent on the range chosen plus installation time. Appliances: We can offer top branded appliances (ie Berbel, Guttman, Gorenjeplus, Neff, Bosch, Siemens plus Blanco sinks and taps) at competitive prices! Worktops: We offer a full range including: Quartz, Granite, Glass, Corian, Skekva wood, Hanex and a range of laminates. Kitchen Studio Ltd is based in Watford and provides quality kitchens to all the surrounding areas in Hertfordshire, Bedfordshire, Middlesex and North West London.